I should note here that there is a good argument for security software that is idiot proof, that prevents employees from hurting their networks or losing information. I entirely believe in using such software, but hackers are very skilled at getting around defenses, and so I believe it is important to train your employees all the same. Every security layer counts! If they fell into the first group, they were to be put into a drawing for a gift card. The other groups received additional training based on what they did or didn't do. In short, we wanted everyone to report the email as soon as they got it and to not click the link. This training was to be done on a monthly basis. Making sure to include those who had failed the previous months training in the next one as well as another set of 20% of the company employees. Because of the frequency of the tests, we felt it wise to give some motivation for doing the right thing, and hence the drawing for the gift cards. Prior to doing the drawing, we had started to see some apathy from certain users who had been among those who previously reported the phishing emails. After doing this for about a year, each employee had received at least a couple of phishing tests, and the ongoing exercises had created something of a buzz in the office regarding security. It's difficult to quantify exactly how much improvement there was because with employee turnover, and the need for a longitudinal study for good data, we just couldn't know exactly how much progress we were making. But there was ample anecdotal to suggest that we were making headway. 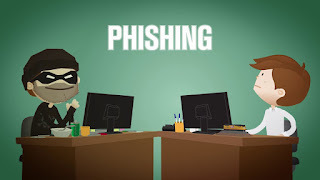 Employees who had previously not been reporting phishing to us started reporting, any many people were talking to us and to each other about these tests. This was a very low cost way to decrease one of the largest threats every company faces and to improve the company culture around security. After the initial setup, the whole process took me only a few hours each month, and maybe an hour or two more if purchasing a new domain. I believe this should be part of every security training program.